At BroadcastAsia2016 held in early June in Singapore, Magnus Ewerbring, CTO, Ericsson, Asia Pacific, spoke to Telecom Review about Ericsson's leading role with 5G adaption, including its License Assisted Access (LAA) trials, 5G radio test beds, and predicted challenges facing the industry, on the rocky road to 5G. Looking ahead, Ericsson has released some astounding predictions around 5G which is expected to be introduced in 2020. For example, Ericsson predicts that there will be 7,700,000,000 (7 billion) mobile broadband subscriptions in 2021, which 5G will have to cater to. Growth in smartphone traffic is expected to grow 11 times between 2015 and 2021, while growth in mobile video traffic is expected to increase 14 times between 2015 and 2021. Ericsson describes 5G as the ""foundation for realizing the full potential of the Networked Society."" The budding technology is expected to span several dimensions making drastic improvements to current broadband connectivity, including unprecedented flexibility, lower energy requirements (sustainable), greater capacity, bandwidth, better security, reliability and data rates, as well as lower latency and cost of devices. 5G is also expected to open up another area where broadband hasn't yet made much of an impact yet: the industrial industry. Mr. Ewerbring explained how 5G and IoT will transform the industrial internet, used for industrial applications in manufacturing, process control, atomization, and so on. ""This is an area that hasn't fully taken advantage yet of mobile systems,"" said Ewerbring. ""In that area, I think there will be a lot of positive challenges to embrace it. We need to make sure that we deliver a system that really removes bottlenecks that are in these areas. A lot of learning has to be done, but that's a good challenge."" Ericsson is a true leader of 5G development. The company has a long history of collaboration and research, targeting long-term development of communication technologies. Ericsson's concepts and technologies have been under evaluation for several years now leading up to 5G. For example, Ericsson 5G Radio Prototypes are the first products designed to enable operators to conduct live fields in their own networks. Operators are able to move beyond the 5G hype of lab-based tests and gain a greater understanding of the potential for 5G in their own network environments. ""We are talking a lot about 5G at Ericsson today '“ it's gaining a lot of attention in the industry. I think it's great because defining a new standard means a lot of momentum is needed to make sure decisions are made and various areas are considered. The key for us now is advancing our work in standardization for 3GPP,"" said Ewerbring, referring to the 3rd Generation Partnership Project (3GPP), a standardization encompassing Radio, Core Network and Service architecture. ""Recently there were important meetings held in China where the first important decisions were made around it [3GPP],"" Ewerbring added. ""It's excellent that this happened, because it shows how we are pushing the process along, asking others to contribute, and ensuring we get the best out of the selection process for 3GPP. Parallel to that, what we also like to bring forward is our thoughts on applications, where 5G can come into play, and how it can possibly help society in the future, which we think it will."" 2016 has seen exciting developments for 5G thanks to Ericsson. 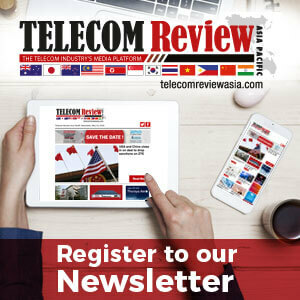 In February, Singapore telecom operator Singtel announced collaboration with Ericsson to trial License Assisted Access (LAA) on its network. 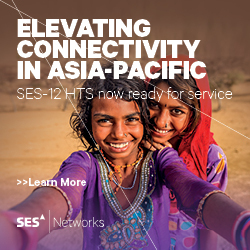 LAA is a mobile technology innovation that unlocks the unlicensed spectrum for LTE and enables data speed boosts by applying LTE efficiencies to boost licensed spectrum. It's an integral component of ongoing 5G studies for the use of higher frequency bands and licensed-unlicensed band aggregation to improve indoor app coverage for smartphone users. ""LAA is coming out ahead of 5G. It's a way to compliment or assist bands with unlicensed band as well,"" said Ewerbring. ""You can then get high throughput, better bandwidth, and better experience for users. It's a way for operators to gain advantage of the space that's out there."" Speaking about Ericsson's relationship with Singtel, Ewerbring said: ""We chose to work with Singtel because Singtel is an important customer to us. They are very advanced, and like to be at the forefront of technology breakthroughs. Ericsson would like to be at the forefront as well, so we naturally engage with operators around the world who would like to take the best out of the LAA test."" Ewerbring spoke highly of Singapore as a nation; a country he believes will be an early adopter of 5G technology when it becomes commercial. He said: ""Singapore as a community is very wealthy and very technologically focussed, with a high spirit to venture into new things. There are many things that add up in Singapore that would make for an early launch of 5G."" Ewerbring also mentioned that one of the major challenges facing Singapore, like any country keen to adopt 5G in the future, is spectrum resources. ""It's quite tricky, because spectrum is given by God, and we can't simply produce it,"" he said. ""There's an international ITU led forum called WRC (World Radio Conference) running in 2019; a very important event for all nations to allocate good spectrum for 5G. Every country needs to prepare before the event and perhaps even make decisions prior to it on where they want to start with 5G."" 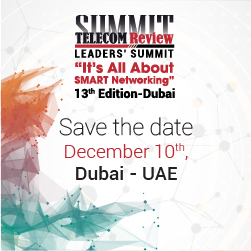 Ewerbing added: ""Operators need to prepare their organizations for 5G. One is just to learn the technology and make decision about who they'd like to partner with. Then their business side needs to think through how they're going to offer certain things, and how it will extend on what they currently offer. We as a vendor need to develop it, and that is a big challenge for us."" Ericsson has been working on a 3GPP standard for some time now, working with a standardization forum alongside industry professionals to discuss and make decision on what goes into the standard. Ericsson has also invested in making an internal prototype of what 5G can become, said Ewerbring, helping operators to better prepare for it. ""Sometimes we also work with customers to define what it can be. The key thing is trying it out in a live environment, to be outdoors and make measurements, etc,"" said Ewerbring, referring to Ericsson's 5G radio test beds. ""It won't show how it will be in 2020, but close enough for our engineers to get a feeling for it. We want to do this with key customers as well, who are eager to gain knowledge about the technology."" Ericsson can't do the tests with all of its customers, but Ewerbring said the company tries to do it with a number of important customers such as Singtel, AmÃ©rica MÃ³vil, AT&T, China Mobil, Deutche Telecom, Etisalat, KDDI, Korea Telecom, LG U, MTS, NTT DoCoMo, Ooredoo Group, SK Telecom, Softbank, Telstra, Turkcell, TeliaSonera, Verizon and Vodafone. ""We work with operators where there's a desire and need to gain early knowledge that can shape road to 5G,"" said Ewerbring. Leading operators are keen to gain the first-mover advantage when it comes to 5G, and Ericsson makes that possible. Trying and testing new technologies is important, especially when it comes to technologies like 5G with the potential to drastically change the world as we know it. Ericsson's prototypes move testing out of the labs and into the real world.